It is questionable if the IMDb Top 250 list of the best movies of all time is a decent calculator of which movies truly are the best. On more than one occasion, it seems as though the list would simply put down both the popular and acclaimed movies of their certain age. Also, it is a list that is focused very much on American cinema, often ignoring movies from Europe or Asia. That’s why this list will present the 10 best movies that are not featured in the IMDb Top 250. There is an ominous, ambiguous spell that casts every frame from Alain Resnais’ 1961 movie “Last Year at Marienbad” in constant mystery. At no given point in the run time are we as an audience really sure in which time and place the story is located. The looming voiceover and the ever-present organ music, combined with the floating cinematography over the elegant manor home, make the movie feel like a distant dream or a feverish nightmare. The characters, a man and a woman, are stripped from names or any characterization. They seem to exist just in the present moment, with the sheer purpose of blurring their past. Since it is unclear if they even have a past (together or not), this is the whole point of the movie. We as spectators have to choose whether the story the man tells to the woman, the story that they met at Marienbad exactly a year ago, is true. We also have to choose if we can trust both of them and if their perception of reality is accurate, but then again, we never know if the reality that is presented to us is objective or just within the characters’ mind. “Last Year at Marienbad” plays a game with the viewer, promoting the spectator to fill in the gaps of the story, thus creating a whole out of the many segments of everything that maybe is a story, or was once supposed to be one. 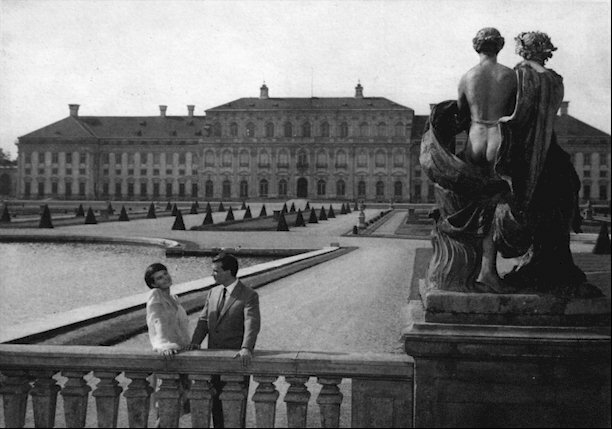 Beyond all of this, “Last Year at Marienbad” is a well-crafted work of art that still challenges the audience in the same way as it did 50 years ago. It subverted the conventions of cinema in a radical way, even when the French Nouvelle Vague had just started. Possibly being the most controversial movie on this list, Ken Russell’s adaptation of Aldous Huxley’s novel “The Devils of Loudun” claims right from the get-go how the events portrayed in this movie are based on actual events. Russell’s movie chronicles the fall of the well-regarded Roman Catholic priest Urbain Grandier (Oliver Reed) through various institutionalized lies and conspiracies against him. 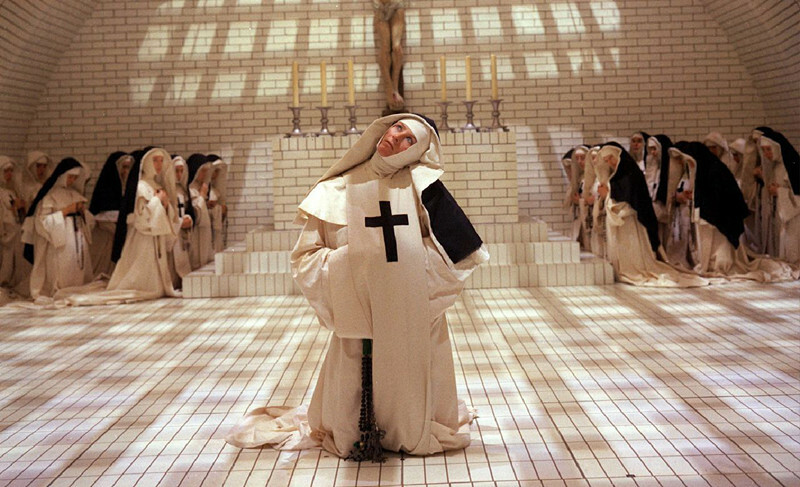 A key character is the nun Sister Jeanne (Vanessa Redgrave), whose weird, neurotic sexual obsessions are portrayed in the movie in striking dream sequences that include the crucifixion of Christ. “The Devils” is a movie that, to this day, causes widespread controversies due to its perversion of biblical themes. It was banned in various countries, received the X-rating in both the U.S. and the U.K., and to this day, it is nearly impossible to get a full uncut version of this movie legally. This reputation, often describing the film as a mindless exploitation flick, can be described a shame, since “The Devils” might still be a movie we can learn from. Not only is “The Devils” an incredible example of a big studio that gives a director full control over a completely crazy project, something that seems impossible nowadays, it also clearly makes a point of how religion can be used as a tool for the masses. Russell blurs the line between the world of politics and of religion, but ultimately shows how both institutions are used to control the individual and influence the behavior of a society. While it is a movie that definitely does not spare the viewer of detailed depictions of both violence and sexuality, in the end it becomes very clear that those elements are used to convey the movie’s message. Above this, “The Devils” remains a movie that seems to believe in the power of true faith, but also acknowledges how it can be perverted by a society. 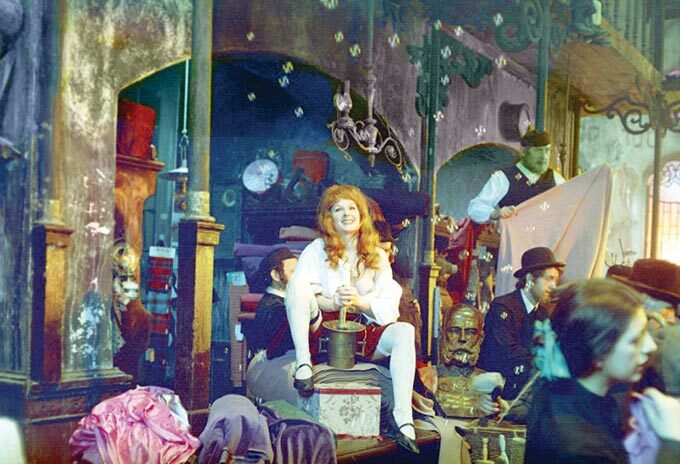 The dark fantasy trip from Poland “The Hourglass Sanatorium” remains one of the most painfully unsung masterpieces of world cinema. It tells the story of a young man named Jozef who visits his father in an ancient, far off Sanatorium. In this place, where everything seems rotten and on the brink of decay, the concept of time seems inherently different. After Jozef has arrived, he looks out of the window to see a past version of himself, who enters the Sanatorium. He is also told that his father, in the objective linear timeline, is already dead, but in the Sanatorium, time is manipulated in a way that events from the past can appear as if they were the preset. Soon, the borders between dream and reality are crossed and we follow Jozef on a surreal dream into his past, his childhood and presumably his imagination. This adaptation of various works from author Bruno Schulz uses heavy surreal imagery to keep the viewer captive, never leaving room for reality to come back again. It is also a close examination of the history of a country, both addressing the times of Poland during the first World War, but also the terrors of the Holocaust. By this, “The Hourglass Sanatorium” becomes a giant allegory on how the past still haunts the preset and how one individual cannot be separated by its history and the perception it has on itself. It is also a movie that understood the concept of a dream more than most of the movies that came after it, and how to blur the line between reality and fiction in such a way that both becomes inseparable and dependent on one another. “The Hourglass Sanatorium” is a masterpiece that still waits to be rediscovered in any way. Together with David Lynch’s “Eraserhead,” “The Holy Mountain” is often regarded as the king of midnight movies and it is not hard to see why. 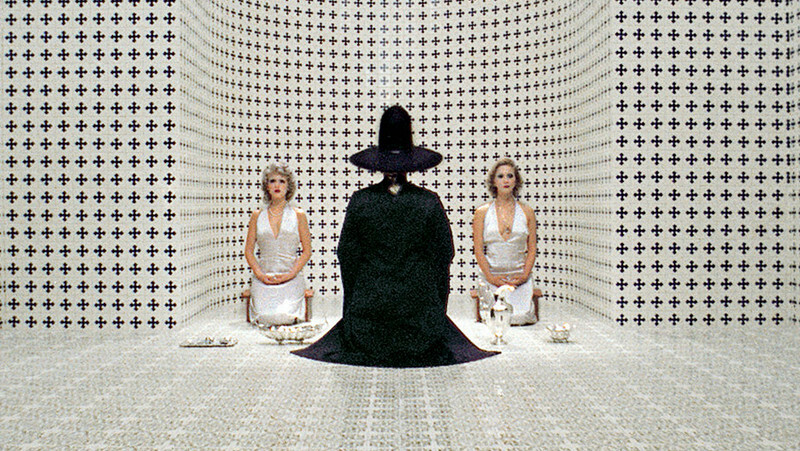 Alejandro Jodorowsky has created a surreal beast of a movie. Nearly every scene and every frame feels like it took thousands of working hours to create, so detailed and imaginary as every image from this movie feels. The story can only be described as a pure allegory: A thief encounters an alchemist who, after demonstrating his powers, teams him up with various other people to go on a quest in search of a holy mountain. It is nearly impossible to recount the events of this movie since “The Holy Mountain” is a movie that has to be seen and experienced to be graspable at least. Even though it is a movie that relies heavily on its imagery, it has also a provoking subtext, addressing both the arbitrary nature of government rulers and also the commercialism of art, as presented in a sequence in which paintings are literally created on an assembly line. Jodorowsky takes the abstract and makes it literal, and “The Holy Mountain” is his crowning achievement on that matter. The movie’s creation is as weird and absurd as the final product, as it is said that Jodorowsky and his crew took massive amounts of psychedelic drugs before shooting the movie. After experiencing this wild ride of a movie, this story seems like the only acceptable explanation. Most of the movies by Italian director Michelangelo Antonioni are about the void inside the lives of people, a void that can’t be filled. They are filmed on the backdrop of gigantic, monumental landscapes that only express emptiness and the feeling of being lost forever in an unpredictable, chaotic future. Antonioni is a master in destroying every sense of orientation, both for his characters and the audience, hence his movies play with ambiguity. With his 1975 movie “The Passenger,” he created a looming masterpiece that again highlights these themes. 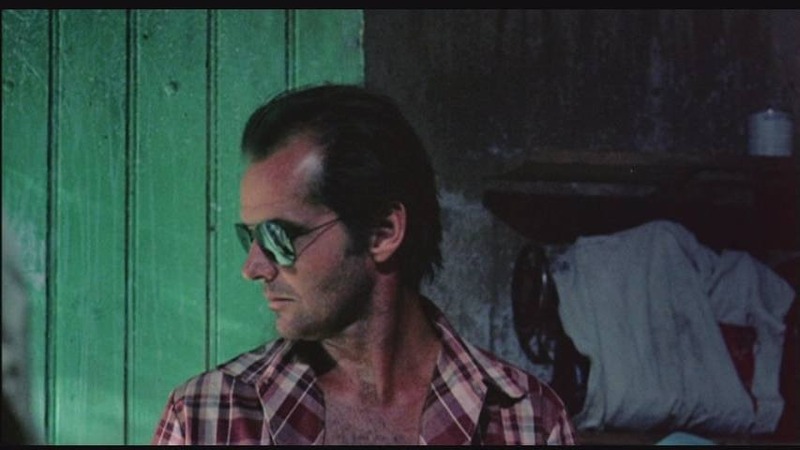 We follow Jack Nicholson playing journalist David Locke, who is stranded near a desert and, in every sense of his actions that are subtly portrayed by Nicholson, expresses unfulfillment with his life. 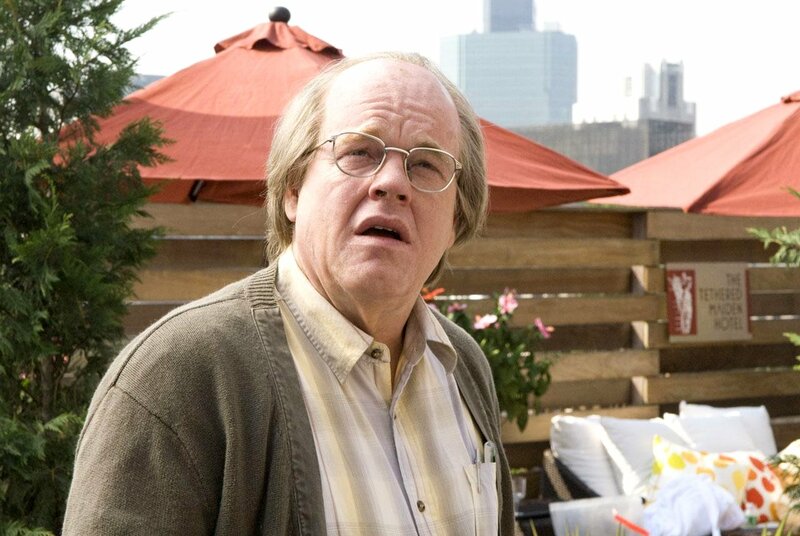 It comes as no surprise when he, as a seemingly random act, takes over the identity of deceased hotel guest who looks a little bit like him. After that, Locke just lets himself drift in every corner this new life takes him, but also stumbles over many dangers. “The Passenger” is a movie that is often acclaimed for its incredible closing shot, in which the camera lets go of the action for a minute and floats over the environment, only to turn back. However, it would be unfair to reduce this movie to its visual greatness. Antonioni’s film is a close examination on the longing for death that seems to haunt every one of Locke’s actions, and a reflection on modernity and how unclear the idea of a strict identity has become in modern times.